Blankets, quilts and throws in easy island style fabrics and colors. This heated throw utilizes state of the art Secure Comfort heated technology that adjusts the temperature of your throw based on overall temperature, spot temperatures and the ambient temperature of your room, ensuring a consistent flow of warmth. This unique technology also emits virtually no Emf emissions, so you can snuggle up with confidence. 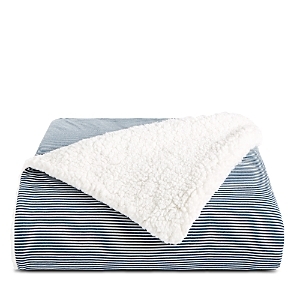 Snuggle up with the cozy style and comfort of this oversized throw from Beautyrest, crafted with ultra-soft faux fleece, a classic ogee pattern and self-adjusting Secure Comfort technology to ensure a consistent flow of warmth. Wrap yourself in cozy warmth all night long with the Warming Blanket from SensorPEDIC. 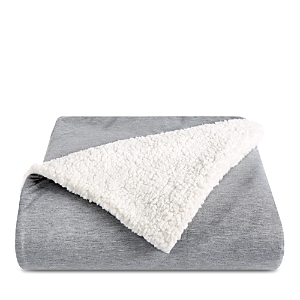 This blanket features soft, ultra-plush 100% polyester anti-pill fleece that will add comfort and style to your bed. 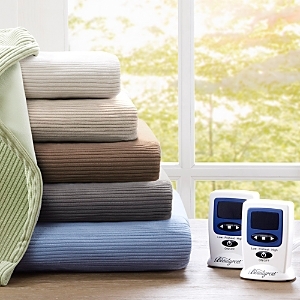 Made from super-soft textured microfleece, the Beautyrest Microfleece Heated blankets provide exceptional comfort and warmth. Secure Comfort Technology reduces EMF emissions, while soft flexible wires ensure comfort. A 20-setting temperature control and 10-hour auto shut-off timer ensures safety. This comfortable and cleverly designed heated blanket features a soft, plush microlight face that reverses to warm and lofty berber Sleep at ease in Beautyrest Heated blanket with Secure Comfort Technology, which is designed to virtually eliminate Electromagnetic Field emissions. The soft flexible wires and ultra-soft microlight plush fabric ensures your comfort. The lightweight plush fabric adds extra warmth for people who usually get cold feet or poor blood circulation. 50" x 70". Polyester. Machine wash Micro-fleece design has reversible sherpa side Handcrafted throw. Tassel trim at ends. Cotton. 50" x 60". Lacourte Arnold Blush Throw Blanket, 50" x 60"
Finish your room's look with the cozy Molly throw from Lacourte, featuring a woven design with matching decorative tassels for added style. Complete your room's decor with the soft and cozy Arnold throw from Lacourte, featuring a solid blush ground with decorative tassels for added style. Give any bedroom a luxe contemporary look and feel with the Hailey throw from Lacourte, featuring an ivory ground and a cozy, reversible design. 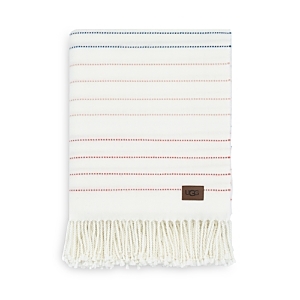 This two-tone throw blanket is the ultimate in luxurious comfort. Every piece is exceptionally woven with superior-quality faux fur and is as indulgent as it is beautiful. The rich, handsome texture beautifully emulates the inherent softness and color of each piece. The reverse side is a cozy solid color micro mink for added softness and ultra-plush quality. 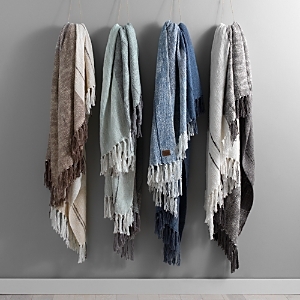 This cozy throw is great as an accent piece for living and bedroom spaces. Treat yourself with one of our Bindi super soft two-tone micro mink, Sherpa lined throw blankets. The ultimate in luxurious comfort, our silver stamped throw blanket is as indulgent as it is beautiful. Exceptionally woven from the finest materials for a sumptuously plush feel, its handsome texture beautifully emulates the inherent softness and color. 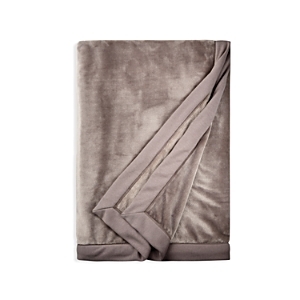 Treat yourself with one of our Alba super soft shaggy faux fur pinch pleat throw blankets. The ultimate in luxurious comfort, our superior-quality faux fur is as indulgent as it is beautiful. Exceptionally woven from the finest materials for a sumptuously plush feel and its handsome texture beautifully emulates the inherent softness and color. 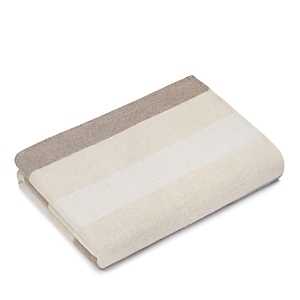 Add texture and style to your room with sleeping partners super soft faux fur stripe throw. Cozy and luxurious, this super-soft and comfy throw adds a glamorous accent to any room. Keep one close by at the end of your bed, on the back of your sofa, or on your favorite reading chair for snuggling up on cold evenings Add texture and style to your room with sleeping partners super soft faux fur stripe throw. Cozy and luxurious, this super-soft and comfy throw adds a glamorous accent to any room. Keep one close by at the end of your bed, on the back of your sofa, or on your favorite reading chair for snuggling up on cold evenings Add a level of beautiful sophistication to your decor with sleeping partners plush, double layer faux fur throw blanket. Cozy and luxurious, this super-soft and comfy throw adds a glamorous accent to any room. Keep one close by at the end of your bed, on the back of your sofa, or on your favorite reading chair for snuggling up on cold evenings. Chic Home Elana 50x60 Throw Chic Home Penina 50x60 Throw Square Feathers Pearl Shag Faux-Fur Throw, 58" x 72"
Treat yourself with one of our super soft shaggy faux fur throw blankets. The ultimate in luxurious comfort, our superior-quality faux fur is as indulgent as it is beautiful. Exceptionally woven from the finest materials for a sumptuously plush feel and its handsome texture beautifully emulates the inherent softness and color. Treat yourself with one of our Penina super soft shaggy faux fur throw blankets. The ultimate in luxurious comfort, our superior-quality faux fur is as indulgent as it is beautiful. Exceptionally woven from the finest materials for a sumptuously plush feel and its handsome texture beautifully emulates the inherent softness and color. Polyester faux-fur throw. 58" x 72". This versatile, super-soft throw features panels of cream and color, for a charming accent that brings comfort and charm, wherever it's placed. With subtle stripes and colorful pom-pom fringe, this hand-woven blanket lends a playful touch to any room. Woven zig-zags and pom-pom embellishments add playful texture to this holiday-hued blanket. Intuitive and playful, textile artist Jess Feury's style employs an earthy palette enlivened with unexpected pops of color. Made using lightweight cotton ticking in a patchworked design, this quilted throw will keep you comfortably cozy on chilly summer evenings. Pair it with a Hedgehouse Throwbed for blissful outdoor lounging, or add it as an extra layer to your bed in the wintertime. 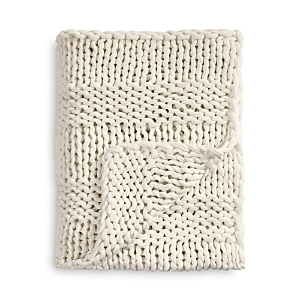 Whether treating yourself or gifting to loved ones, this oh-so-cozy throw is a must-have for luxurious lounging. Bold and neutral hues blend seamlessly on this thoughtfully designed throw blanket, embellished with soft fringe for a luxe finish. This soft, garment-dyed blanket makes any chair or sofa extra cozy with its hand-stitched details and fringed trim. Finished with plush poms, this faux fur throw is an easy, luxe choice for your bedroom or living space. The Blanquil Chill boasts a cutting-edge fabric designed to usher away and disperse body heat allowing you a cooler, personally adjusted experience. The Blanquil Chill's ultra-breathable, high-tech fabric cover works harder as you get warmer, wicking away moisture and staying cooler to the touch than traditional fabrics. You will notice the cool comfort of the Blanquil Chill from the instant you enter your cocoon until the moment you emerge rejuvenated and ready to re-engage with the outside world at your well-rested best. 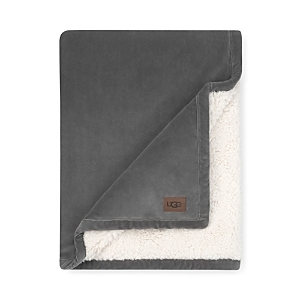 Take your comfort to a whole new level with the super-soft quilted fleece and secure-feeling weighted design of this luxe 20-lb blanket from BlanQuil. A timeless essential for your bedding collection, the My Down Alternative blanket provides excellent warmth and loft with a down-like feel. 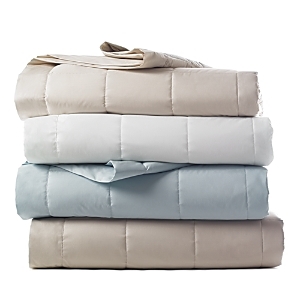 Reduce your anxiety and sleep soundly with the Beautyrest Luxury Quilted Mink Weighted Blanket. Designed for adults or those with a minimum body weight of 120lbs, this 60"x70" weighted blanket provides all-over comforting pressure to make your feel secure and relaxed. The faux mink cover features diamond quilting and the weighted insert has box quilting to prevent the polyester and glass bead filling from shifting. 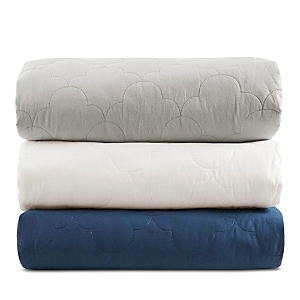 Reduce your anxiety and sleep soundly with the Beautyrest Deluxe Quilted Cotton Weighted Blanket. Designed for adults or those with a minimum body weight of 120 lbs, this weighted blanket provides all-over comforting pressure to make you feel secure and relaxed. Plush, warm, and incredibly cozy, the Oceanside Blankets by UGG are essentials for every room. Its brushed, woven cotton design lends undeniable warmth and comfort season after season. Add a luxe layer of style and comfort to any bedding ensemble with the super-soft cotton and quilted diamond pattern of these Damask coverlets and shams from Charter Club. Complete your room's look with the Damask Designs bed blanket from Charter Club, featuring the soft touch of cotton and the relaxed style of damask stripes.